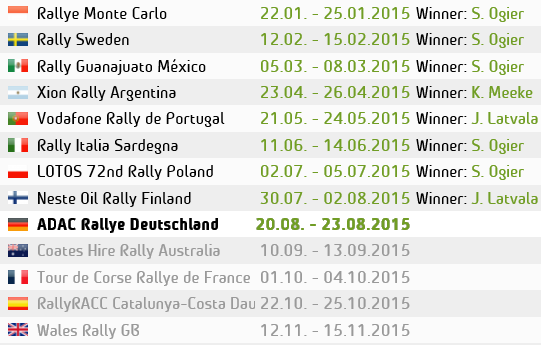 The WRC TV highlights of Rally Acropolis in the UK will once again be Broadcast on ITV4. It will be a one hour Highlight program of the Rally in Greece and will be show on ITV4 in the UK Tuesday 4th June at 11:30am. And on ITV4 +1 Channel an Hour later. If you are unable to see it due to the strange time of Broadcast, the Program will be repeated on Saturday 8th June at 11:25am on ITV4. You will also be able to catch it on Demand and ITVPlayer in the week.